Some businesses who have received Bumble Fund investment include business advisory service Alice, workout and training app Gixo, and the probation and parole support service Promise, according to Forbes. “In my life, and today more than ever, I’ve learned how impactful one woman’s voice can be when given a platform to speak and be heard,” Williams said in a statement. In April, Herd and Williams will also be hosting the Bumble Fund pitch competition, open to female entrepreneurs with special attention given to those with “diverse backgrounds, experiences and perspectives,” according to Forbes. The competition was announced in March and applicants can enter through March 27, 2019. 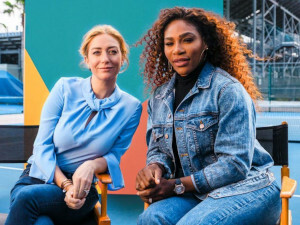 Williams recently teamed up with Bumble to star in its first-ever Super Bowl ad, for the campaign #InHerCourt. The ad highlighted Bumble’s initiatives not only in letting women take the lead in their dating lives, but also in their careers, networking circles, and friendships. Williams isn’t new to the investment game. She founded Serena Ventures, which has invested in over thirty companies focusing on underrepresented founders or challenges. She also serves on the boards of Poshmark and SurveyMonkey, according to website Tech Crunch. She saw Bumble as an opportunity that aligned with her investment company’s mission to amplify women’s voices. Bumble has more than 50 million users worldwide across its suite of platforms, including the dating app, Bumble Bizz, and Bumble BFF.